Foundation. It can make or break you. The right shade can make you look a little more you, the wrong shade can make you look, well, less like you…we all grew up with the image of the thick pancake foundation of years past. Well, the game has changed and I’ve gone from avoiding foundation to loving it. The first key to beautiful skin is taking care of your overall health. Drinking water, getting enough sleep and washing your face with quality cleansers morning and night will give your skin a smooth surface and inner glow. The second key is finding your shade. Despite my best efforts, my skin is usually a shade lighter in the winter, so I usually have two shades on hand to choose from or blend. The right color should disappear when applied along your jawline. I love Beautycounter’s Tint Skin in linen for summer and porcelain in winter. For lighter coverage with added sun protection I grab Dew Skin number 2 and I’m out the door. Both give my skin a beautiful smooth glow, but neither look like too much. 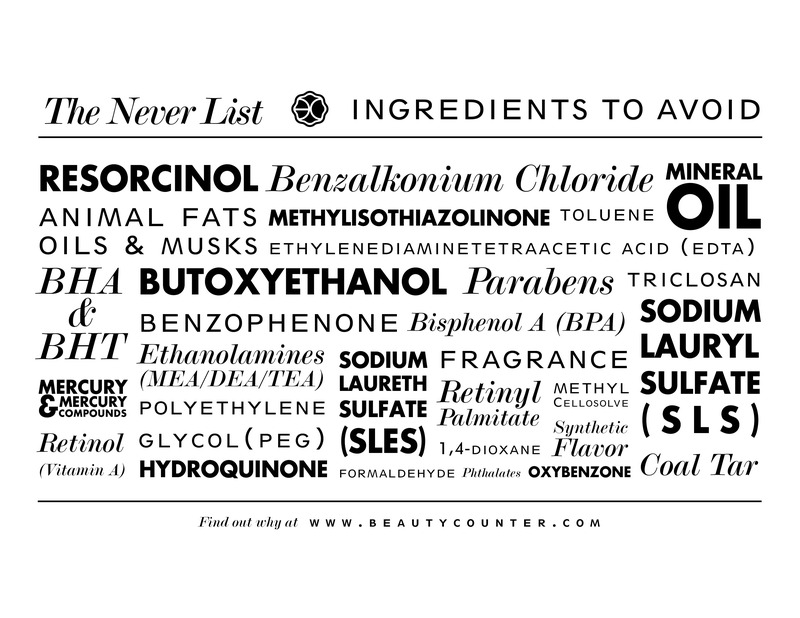 Because they are Beautycounter products, I also know they are safe and don’t contain parabens and other potentially hazardous chemicals. If I carefully pull my face together and my baby plants a big kiss on my cheek, she’s not ingesting things I can’t pronounce. Safety and quality are two things I look for, and these two products check boxes. What more do you need?